I have just upgraded to 2.0.1.1 and some of my products have video reviews that i have embedded a youtube video of. The problem being that the video does not resize, so when viewed on a mobile device the video breaks out of the desired area. How can i make these videos resize with everything else? where do i apply this code? You can add that code on my own extension Custom CSS. It is not lost when you upgrade OpenCart. viethemes wrote: You can add that code on my own extension Custom CSS. 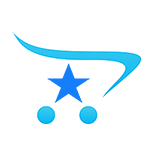 It is not lost when you upgrade OpenCart. How can i install your extension without using the extension installer as mine doesn't work and Opencart will not get back to me with a solution. You can upload the extension file to the folder system and go to admin > Extensions > Modifications > click on the Refresh button to rebuild modifications. viethemes wrote: You can upload the extension file to the folder system and go to admin > Extensions > Modifications > click on the Refresh button to rebuild modifications. You should set permission 775 for the folder system/modification to solve it. viethemes wrote: You should set permission 775 for the folder system/modification to solve it. Could you provide your site url, a admin account and a FTP account via PM, so I can take a look at the problem closer? viethemes wrote: Could you provide your site url, a admin account and a FTP account via PM, so I can take a look at the problem closer? Unfortunately the video reviews i'm trying to make responsive still don't resize. Where to insert this code directly in css and how to define height ? Which size do you want to resize in mobile? Resize your browser till you have the layout for mobile. Then look with a browser-extension like „firebug“ for firefox to identify the css which is loaded. It’s possible that you have a separated css for mobile. When you identify the css file, download and open it in text editor. Paste the code into. When you have only one css you must look at the media query. Past the iframe-code into the brackets for the media query which is for mobile. Then test your website in browser. Try this. Just add this code at the bottom of your CSS file. Tested it on iphone 6 and it looks nice. For anybody else who is struggling with responsive videos from youtube, what @vimal_beeshop copied, works perfectly!